(Bloomberg) – South African President Jacob Zuma resigned Wednesday, bringing an end to his scandal-marred tenure and leaving the nation’s leadership in the hands of the ruling African National Congress’s new leader, Cyril Ramaphosa. Zuma spoke after the ANC announced it would hold a parliamentary vote of no confidence in him on Thursday. Calls for him to quit had grown since Ramaphosa replaced him as ANC leader in December, and his fate was sealed when the party’s National Executive Committee decided Monday to order him to step down. Best Africa news all year!! Ramaphosa, who was served as deputy president since 2014, will become acting president and the National Assembly must choose a replacement for Zuma within 30 days. Ramaphosa is likely to be elected in a permanent capacity on Friday and deliver the state-of the nation address the same day. The keynote speech was postponed on Feb. 6, two days before Zuma was due to deliver it, due to the turmoil within the ruling party. The resignation gives Ramaphosa, 65, more time to convince voters before elections next year that he’s committed to meeting his pledges to rebuild a battered economy and clamp down on the graft that critics say has become synonymous with the Zuma era. President Jacob Zuma addresses South Africa from the #UnionBuildings in #Pretoria. After a preamble of how he came to be the head of state & #Constitution, at 22h57 on 14 February 2018 he announces he will resign from that office. The Zuma presidency has ended. While Zuma’s cabinet doesn’t have to resign, Ramaphosa will be able to hire and fire ministers as he sees fit. With the national budget due to be presented to Parliament on Feb. 21, investors will be watching to see if he retains Malusi Gigaba as his finance minister. Zuma, 75, has spent years fending off allegations that he took bribes from arms dealers and enabled members of the Gupta family, who are one of his son’s business partners, to influence cabinet appointments and loot billions of rand from state companies. His resignation came just hours after the Hawks, a police investigative unit, raided the Gupta family’s Johannesburg residence. One of the Gupta brothers and four other suspects were arrested in connection with the alleged shifting of funds from a failed state-funded dairy project and are due to appear in court on Thursday, Johannesburg’s City Press newspaper reported. “Zuma’s exit was almost inevitable once it emerged that the ANC was willing to remove him through a vote of no confidence, his former supporters deserted him and the Hawks showed their intent with raids on the Guptas,” said Mike Davies, the founder of political-advisory company Kigoda Consulting. Growth has averaged just 1.6 percent a year since Zuma took office in 2009, undermined partly by a series of policy missteps and inappropriate appointments that rocked investor and business confidence. A lawyer and one of the wealthiest black South Africans, Ramaphosa is widely expected to adopt more business-friendly policies, prompting the rand to rise more than any other currency against the dollar since his election as ANC leader on Dec. 18. It advanced to its highest against the U.S. currency since February 2015 on Wednesday. Save South Africa, and the people of South Africa as a whole, celebrate the demise of Jacob Gedleyihlekisa Zuma – and we do so with relish! We are absolutely delighted to see the back of the worst president this country has ever seen. We look forward to seeing him again in court, and soon, to face justice for his multitude of crimes against the people of South Africa. Zuma’s resignation brings to an end the most calamitous era in our post-apartheid history, and will be celebrated by anyone who values our Constitution, our flag and our sovereignty. All these together with the values of our young democracy were compromised by Zuma and his crony compradors, who pillaged the South African state for close on a decade. Like Zuma, these collaborators must also be removed from public office and face justice. We take this opportunity to salute the people of our country who put aside their differences and worked together in the very many creative ways to publicly demand that this day comes. We are immensely proud of the various civil society formations, the whistleblowers and journalists from the various media platforms who have played such an important role in exposing Zuma’s frolics through the public purse. Without these expressions of people’s power, the country would be in the hands of international criminal gangs and rogues including foreign governments that sought to condemn us to a mountain of debt for nuclear procurement that would have enslaved, not only us, but future generations. We must remember our victories if and when we are next called upon to deal with the abuse of power. At the same time, we congratulate the recently elected leadership of the ANC – in particular, President Cyril Ramaphosa – for realising the urgency of removing Zuma. Whilst we did not always agree with their negotiating tactics – in particular, a disturbing tendency to be secretive, matched by an equally disturbing temptation to push the limits of our Constitution – we unquestionably welcome the outcome. Now, with Zuma gone, the leadership of the governing party must make it their business to focus on the interests of all South Africans, and restore pride in our beautiful flag and our country. Whoever replaces Zuma as President of the Republic must lead the drive to urgently recapture the state from those who have stolen our sovereignty while at the same time stealing millions from the public purse. The next President must build a leadership collective that is focused on ensuring state resources are directed towards dealing with rising unemployment, increasing inequality and growing poverty. This will require a massive injection of new energy and expertise, and deep-rooted programmes to address the legacies of apartheid such as racism, sexism and other forms of discrimination, to get us out of the hole that was dug by Zuma and his cohorts. A sycophant till the end. Jessie Duarte singing Zuma's praises at ANC press conference. Nothing about State Capture, Nkandla, Thales, Schabir, Khwezi, Atul or Putin here. Trying to rewrite history. Siestog. 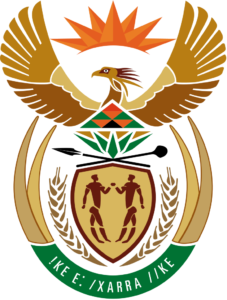 In line with Save South Africa’s minimum demands for a socially just South Africa, whoever replaces Zuma must prioritise the return of the rule of law, restore the credibility of the criminal justice sector – including the Hawks, SAPS, NPA and intelligence services — and publicly affirm the independence of the judiciary and the integrity of Chapter 9 institutions. Credible leaders must be appointed in key economic institutions involved in the fight against corruption – including National Treasury, SARS, the Chief Procurement Office, the PIC and the Financial Intelligence Centre. We also demand full investigations into corruption and mis-governance at state-owned companies, followed by the removal of boards, CEO and management who are found to be corrupt, and their replacement with reputable and experienced leaders. Crucially, the next President must ensure that the captains of state capture are pursued and prosecuted, and that neither the Zumas nor the Guptas are allowed to leave South Africa. Their passports must be revoked until investigations around them are finalised. There must be no soft landings or red carpets for the crooks, from Zuma down. There must be no secret deals or amnesties. There must be no backdoor deals – we demand justice, and we demand public justice. And as the Save South Africa campaign, we will be watching – very closely – to ensure this happens.